Allyson Kramer of Manifest Vegan has come out with a wonderful recipe book that leaves no one out in the cold. 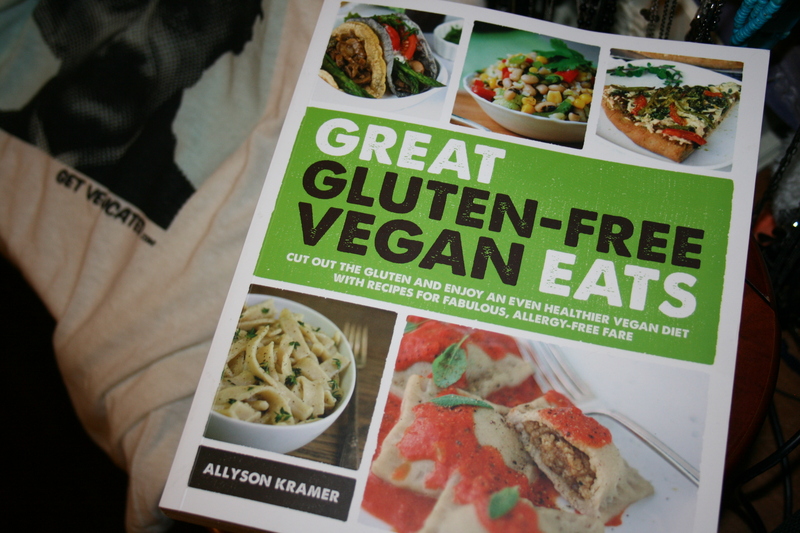 Great Gluten-Free Vegan Eats is a beautifully designed recipe source that contains all gluten-free, vegan, delicious recipes – every page containing a delectable-looking photo that you will want to just eat off of the page. I was lucky enough to win this book off of her website, Manifest Vegan. She even signed it for me and left a very nice note. You should check out her website and consider buying this whether you are new or experienced in gluten-free vegan cooking. Thanks Allyson for your part in inspiring others and making this lifestyle more accessible for everyone.